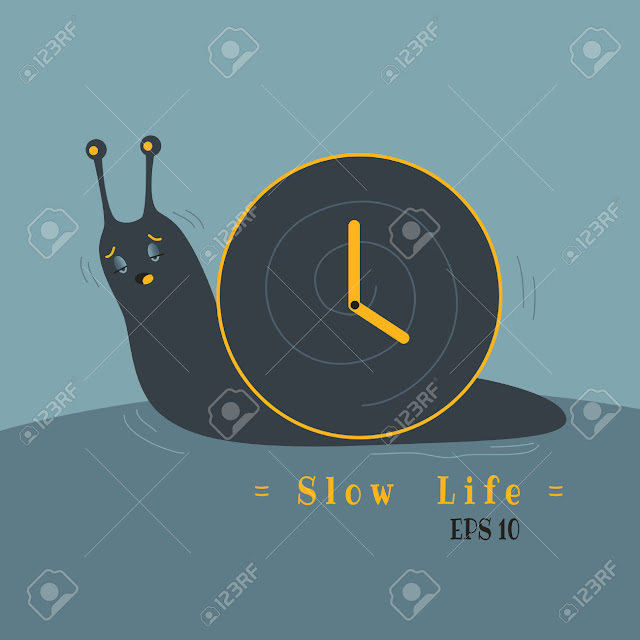 Sometimes, everything feel slow. And that is what life is currently feeling like for me now. Slow. Slow is, sometimes, good. In fact, it is a relief for me. Like I am taking a break. Catching me breath and trying to be more long-term focused. Transitioning from reactionary to proactive. Making strategic plans. It is not just enough that one is on the right path, the path one wants to be, but also that one is walking that path the right way. Generally, there are only intertwined paths. Crossing paths. And your right path will have a lot of twists and bends. You have to not only make sure that you've identified your right path but you are navigating it the right way. If not you can end up in a loop, going round the same corner over and over. I am trying to enjoy the slowness and do an evaluation of my journey so far. Also to check if I am navigating my chosen path aright. Recently, it looked like I have hit a plateau. Doing the same things over and over again. Then I decided to cut out some things to make way for new strategic things. But, then, some things take time. You start now and won't notice any significant result for a while. And everything will feel slow. And that is what I am experiencing now. I call it a strategic slowness. You should try it too.